If you’re the type of person who likes to go all out during the holidays, you’ll probably have quite a bit of cleaning up to do when the season ends. Since you won’t be needing your holiday decorations until the next year, a storage unit rental in Capitola, CA can be a safe way to store your seasonal decor until you need it again. A storage unit rental will keep your things safe and protected, but you still need to pack everything properly . Be extra careful with your fragile ornaments and decorative lights, and use a bag or a box for your tree. Here are some storage tips to know when you’re cleaning up after Christmas. Not all homes come with an ample amount of storage space, but a storage unit can solve the problem. Christmas only comes once a year, so there’s no real reason to keep your wreaths, trees, lights, and other decorations in your house during the rest of it. Instead, you can keep your festive decorations safe in your storage rental unit. 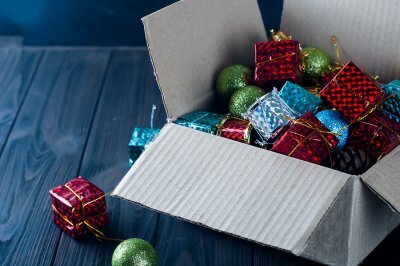 Even though you’ll still have access to everything in your storage unit throughout the year, you probably won’t need to check up on your Christmas decorations for a long time. Using your holiday ornaments and lights responsibly and storing them properly will help them last year after year, but you must be careful. Ornaments and lights are both easy to break if you don’t pack them up the right way before bringing them to the storage unit. Try wrapping fragile Christmas ornaments in newspaper or bubble wrap to give them some extra cushioning. You can also fill in any extra space in the box with packing peanuts, so your things don’t slide around. Natural trees should be thrown out after the holiday, but artificial trees can be preserved for years. Instead of using the box the tree came in, buy a bag specifically designed for storing Christmas trees to avoid moisture and pests.